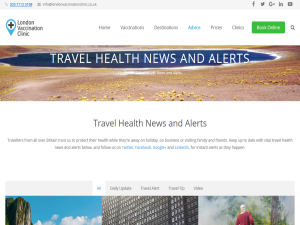 As experienced travel health experts who keep a close eye on health alerts across the world, the team at London Vaccination Clinic regularly update their blog with expert news and advice on travel vaccinations and more. Whether youâ€™re travelling to Africa or Vietnam, take a look at the London Vaccination Clinic blog today for news, advice, health tips and more. This what your London Vaccination Clinic Travel Blog Blog Ad will look like to visitors! Of course you will want to use keywords and ad targeting to get the most out of your ad campaign! So purchase an ad space today before there all gone! Brazil carnival vaccines : heading to Rio for the carnival this year? Make sure you have your yellow fever vaccine! Since December 2016 Brazil has been experiencing an outbreak of yellow fever that has now spread to Rio and the São Paulo State. Initially covering 21 Brazilian states by July 2017 777 confirmed cases were reported with 261 deaths (case fatality rate of 34%). Since July 2017 a further 35 cases of yellow fever had been confirmed, of which 20 cases were fatal (case fatality rate 57%). Sao Paulo has been the worst-affected state, with 20 confirmed cases. Recent spread of yellow fever into the municipality of Sao Paulo and the municipalities of Greater São Paulo suggest high risk for people who haven’t been immunised. Recent news, 9 January 2018, reports 4 deaths in Sao Paulo State. Yellow fever spreads to humans via the bite of the Aedes mosquito. These are day time biters. It is a viral infection, therefore can be difficult to diagnose and treat and is often misdiagnosed for other tropical infections or fevers. Infection can be fatal, vaccination is essential for life long immunity. The vaccine takes at least 10 days to work, so make sure you visit your travel health clinic well in advance. In London, the vaccine is given privately, only a limited number of GP practices offer it. Clinics must be registered as the yellow fever vaccination centres in order to legally offer the vaccine. Yellow fever vaccine at the London Vaccination Clinic costs only £70 and comes with the vital yellow fever certificate. Visit the clinic here http://www.londonvaccinationclinic.co.ukfor a comprehensive consultation and yellow fever vaccine (given on the same day). The post BRAZIL CARNIVAL VACCINES appeared first on London Vaccination Clinic. neglected disease ranking the 10th biggest cause of death due to infectious diseases globally. managed to completely eradicate the disease. Unfortunately, this is not the case with India. Here the situation has not changed for a decade. governmental initiatives to control rabies, India still struggles to ameliorate the situation. wildlife (e.g. foxes, racoons, mongoose, skunks and bats). Humans are only accidental hosts. enters the nerve or the muscle cells and thus reaches the spinal cord, where it replicates. panic attacks, then fall into coma and eventually die of respiratory or cardiac failure. What is the problem and how big is it? not a notifiable disease, therefore the exact figure of rabies bites remains unknown. underestimated. Some studies have estimated it to be as high as 17 million dog bites per year. at home (&gt;75%), making the statistics impossible to record. private sector of doctors in the world, accounting for 93% of the hospitals and 85% of doctors. or even months, which can eventually lead to death. measures need to be taken to vaccinate such a vast number of dogs. doctors and nurses have been trained in animal-bite management. national requirement in that period. purpose is to raise global public awareness about the disease. made in India, where rabies remains a non-notifiable disease. The post Rabies in India: Why is it still not eradicated? appeared first on London Vaccination Clinic. 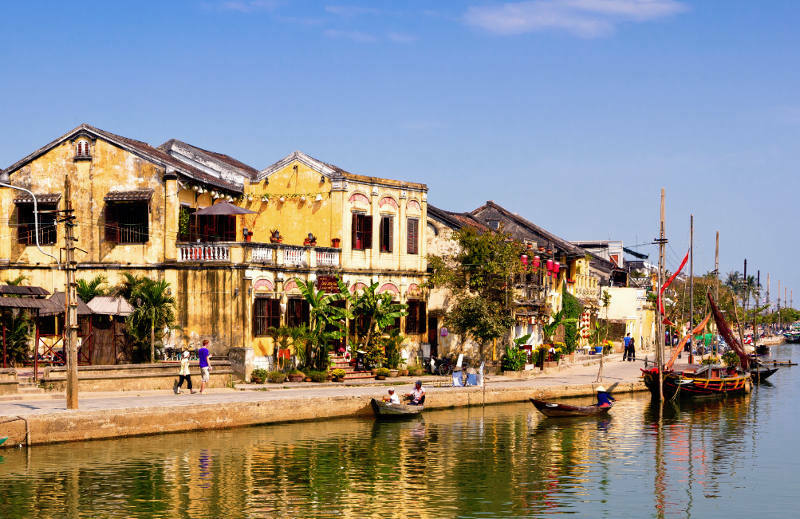 The post Six reasons to visit Vietnam in 2017 appeared first on London Vaccination Clinic. The post The Latest Restrictions on Flying With Laptops and Tablets appeared first on London Vaccination Clinic. Laptops and tablets are the latest gadgets to fall foul of US security and terrorism led flight restrictions. What’s the latest news, how might it affect your journey, and how does it impact on UK air travellers? In late March 2017, the USA and UK announced a laptop and tablet ban on aeroplanes, a ban affecting people boarding direct flights from Turkey, Lebanon, Jordan, Egypt, Tunisia and Saudi Arabia. Now the USA is hinting that it might extend the ban to cover flights coming between British airports and the USA. It isn’t yet confirmed – that will have to come from the US Homeland Security organisation. Until that happens, the original restrictions will remain. Here’s what you need to know. What routes and airlines are affected? The USA’s flight ban currently covers a host of popular airports, banning laptops and tablets on flights direct from Cairo, Istanbul, Dubai and Abu Dhabi, Kuwait, Doha, Casablanca, Amman, Riyadh and Jeddah airports. The British ban covers every flight incoming from Turkey, the Lebanon, Jordan, Egypt, Tunisia and Saudi Arabia. Six home-grown British airlines are affected, namely BA, easyJet, Jet2.com, Monarch, Thomas Cook and Thomson. And several overseas airlines are also affected: Turkish Airlines, Pegasus Airways, Atlas-Global, Middle East Airlines, Egyptair, Royal Jordanian, Tunis Air and Saudia. What are you not allowed to take on board? Confusingly, in the UK the ban means you have to measure your gadgets. Any ‘electronic device’ larger than 16cm x 9.3cm x 1.5cm isn’t allowed in your hand luggage. This means mobiles and even larger style smartphones are still OK. In the US the ban covers more gadgets, and the banned list could soon include even more. Right now it covers laptops and tablets, e-readers like the Kindle, cameras, portable DVD players, any gaming console bigger than a smartphone, plus portable scanners and printers. The current ban affects you from your ‘last point of departure’. If the airport you left from is on the banned list, you’ll have to comply, leaving your gadgets at home or taking them in your main luggage. If you’re planning to catch a connecting flight from one of the airports affected to Britain, you can’t take your laptop or tablet on the plane in your hand luggage or on your person. What can be done to stay on the safe side? If you’re transferring through one of these at-risk airports, move your gadgets to your main luggage at the first airport, the one your journey originates from. Does the ban affect my travel insurance? Yes, if your insurer is one of the many who won’t cover the theft of or damage to valuables that are not on your person, close to you or visible to you. If your gadgets have to go in your main luggage in the hold of the plane, they’re likely not to be covered. Some insurance providers might be flexible. It’s best to ask yours and find out for sure. On the other hand, if your gadgets are stashed safely in your main luggage, as long as nobody steals your luggage from the carousel, or your case goes missing, it should be fine. If in doubt, leave your gadgets at home and read a good, old-fashioned book on your flight instead! To be completely certain what the UK’s biggest airlines are allowing and banning, from liquids to laptops, check with your airline before you fly. The post Fighting Malaria – The World’s Biggest Ever Anti-Malaria Initiative appeared first on London Vaccination Clinic. An NHS funding review could mean that a number of travel vaccinations will no longer be available for free. Budget cuts have forced NHS England into cost-cutting measures which could begin to affect holidaymakers and travellers this year. However, if the changes suggested by the funding review come into practice, these vaccinations will only be made available in specific circumstances. Most people would no longer qualify to get these vaccinations on the NHS. Unfortunately, these diseases and conditions are common in many destinations across the world, including Africa and Asia, so it is still vital that you are inoculated against them before you go away. Depending on where you are visiting you may need these as well as other vaccinations, so you should get advice from your GP or a specialist travel clinic in advance of travel. These potential NHS changes will not affect our services; London Vaccination Clinic will continue to offer a full range of vaccinations at affordable prices to ensure that you are properly protected no matter what part of the world you are travelling to. You can book an appointment with us today for more information on the range of services that we can provide. Our prices start from as little as £30 per dose for cholera vaccinations and we strive to provide the latest, impartial advice regarding the medicines you need before you travel. Please don’t hesitate to contact us today for more information by calling 020 33229558. The post NHS funding review to affect vaccinations appeared first on London Vaccination Clinic. If you are the owner of London Vaccination Clinic Travel Blog, or someone who enjoys this blog why not upgrade it to a Featured Listing or Permanent Listing?